We took a much deserved vacation at a resort in Scottsdale last weekend for some rest and relaxation before all the hustle and bustle of the holidays. This was the first vacation where we made no plans for tours, side-trips or sight-seeing. We did absolutely nothing and it was everything we thought it could be. Although, we did go in to town one morning and stopped off at a Trader Joe's and A.J. 's Fine Foods on the way back where I was able to find a few beers to enjoy at the resort and a couple to bring back. Trader Joe's 2009 Vintage Ale - I've never tried any of their beers before, but I do know the Vintage Ale is brewed by Unibroue. Dark brown in colour with a big foamy head. 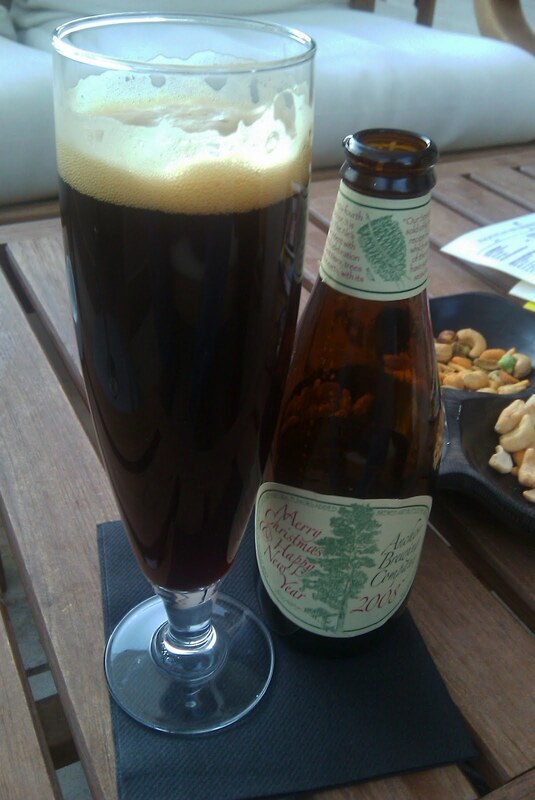 A lot of dark fruit flavours with a ginger spiciness and a dry finish. A good beer and pretty much what I would expect from Unibroue. 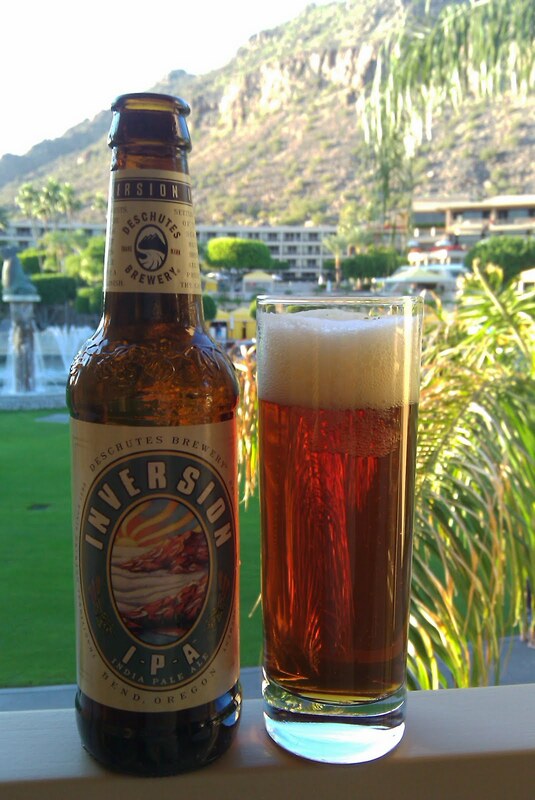 Inversion IPA - A very drinkable IPA from Deschutes that I enjoyed while sitting outside on our patio overlooking the ponds and pools. Citrus and pine hop flavours are well balanced by the slightly sweet malts with a smooth dry finish. 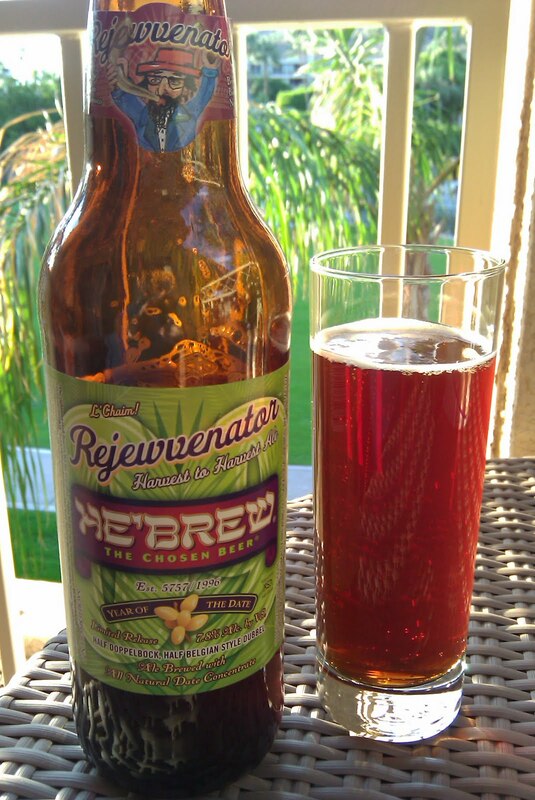 Rejewvenator - Indicated on the label as being Half Doppelbock and Half Belgian Dubblel. Flavours of dark sweet fruit with the dates being quite obvious. An interesting combination of styles. Vertical Epic 09.09.09 - I bought two of these, one to drink there and one to take home where it can rest comfortably with my other VE beers. Deep, dark brown in colour with a huge soft head that took a while to settle down. 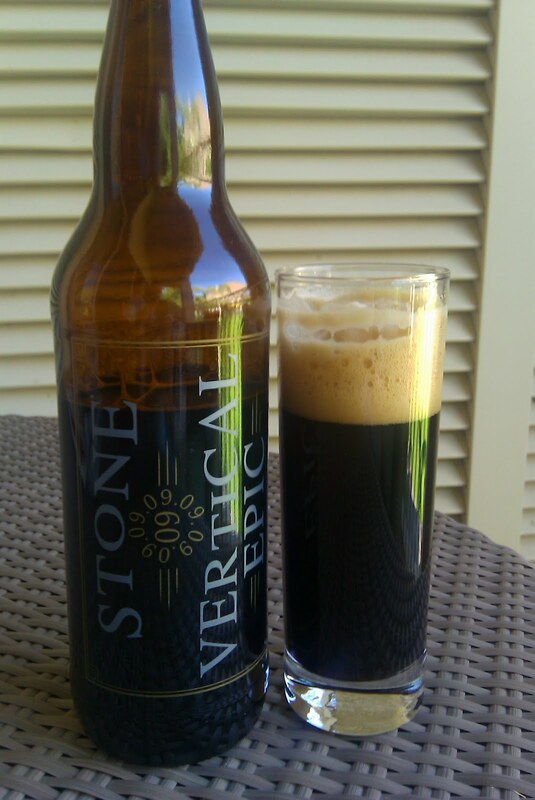 Fairly strong roasted malt and chocolate flavours with hints of vanilla and molasses. Quite a change from the past couple in the VE series. Bourbon County Stout - An imperial stout aged in bourbon barrels from Goose Island. I purchased this one to take back home and add to the ever-growing beer cellar. I'm not always a fan of bourbon aged stouts, but I'd heard great things about this one. However, since a lot of bourbon barrel-aged beers can be way to strong and overpowering, I'd like this one to rest and mellow a little before opening it. And at 13% ABV, it can certainly take some ageing. I highly recommend The Phoenician Resort and Spa in Scottsdale, AZ. Its absolutely beautiful, relaxing and luxurious. They even have a few of the Four Peaks beers on tap at various onsite bars and a pretty decent bottle selection in the lounge off the lobby, including some 2008 Anchor Christmas Ale.